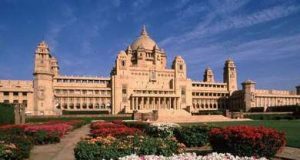 Home to some of the world’s most magnificent structures, India deeply reflects the religious rituals to modern-day structures. India’s cave temples show early traces of human life and culture and the importance of Hinduism and Buddhism in the country’s history. So far about 1,200 cave temples have been discovered in India, 1,000 of them are located in the western state of Maharastra. 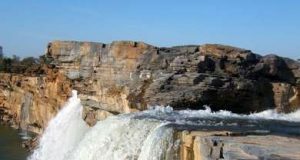 Others are located in the northeastern state of Bihar, Karnataka to the south of Maharastra, with a few scattered throughout other states. Centuries ago, Indian monks and artists took years to create the incredible rock-cut architecture manually out of sandstone, cliffs, and rock formations. After this amazing feat was achieved, they then intricately designed the walls with carvings and murals, and filled the interior with statues. Ajanta & Ellora caves are situated close to Aurangabad, the city named after the last emperor of the Mughal dynasty Aurangzeb. These are 2000 year old stunning world heritage sites visited by tourist across the globe. Ajanta caves are located in the northern part of the central Maharashtra, 105 km from Aurangabad. The first cave monuments at Ajanta dated back to the 2nd century BC and more caves were added later. The carvings and murals at Ajanta depict the life and society in those times which includes kings, women, children, slaves, flowers, birds and many others. Ellora caves, located 30 km from Aurangabad, are a series of 31 rock cut excavations developed over 6 century started around 350 AD. Caves at Ellora are renowned for religious paintings, sculptures and temples. The cave temples are mainly devoted to Buddhism, Hinduism, and Jainism depicting the religious harmony of the time. Located near Junnar in district of Pune, Lenyandri demonstrates a series of 30 rock-cut Buddhist caves. Cave 7 is a famous temple and houses Lord Ganesha. It is one of the Ashtavinayal shrines, a set of 8 Ganesha temples and places of worship in Maharashtra. Twenty-six of the caves are numbered individually. Also known as Shri Girijatmaka, Lenyadri is 96 km from Pune. All the caves of Lenyadri are under the supervision of Archeological Department of Govt. of India. The steps are little difficult to climb and hence not recommended to go in the evening. Patal Bhuvaneshwar is one of the spiritual and mysterious places of Uttarakhand. This pilgrimage is dedicated to Lord Shiva and thirty three crore Gods. It’s a limestone cave situated 14kms from Gangolihat in the Pithoragarh district of Uttarakhand state, located in the village of Bhubneshwar. From the point of entrance the cave is 160 m long and 90 feet deep. This cave has a narrow like opening which leads to a number of caves. It is believed that the Pandava brothers passed their time here during banishment. It is also believed that this cave is internally connected to the four abodes (Char Dham). The four-temple complex of the Varaha Cave depicts the Pallava architecture with a mandapam dating from the late 7th century. It’s a rock-cut cave temple located at Mamallapuram, a small village southern part of Chennai in the state of Tamil Nadu. In front of mandapa, the Pallava doorkeepers are two pillars and two semi-columns that have horned lions and are carved into the bases. On the wall of mandapa is the entrance and the roof is topped by shrine models which are similar to those in the Pancha Rathas. The Pataleshwar cave temple, also called Panchaleshvara, is a rock-cut cave temple, engraved in the 8th century n the Rashtrakuta period. 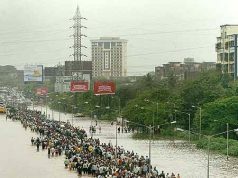 Its located in Pune is the state of Maharashtra. Originally it was located outside the town but the city boundaries have expanded so it is located in Jungli Maharaj Road, Pune. The temple is mainly dedicated to Hindu God Shiva and has a spectacular arrangement of circular stone at the entrance. The entrance itself is worth watching. The sculpture of the Pataleshwar cave temple is outstanding but incomplete. The main worship area also includes idols of Sita, Rama, Laxman and a host of other Hindu Gods and Goddesses. Jogeshwari caves are some of the ancient Buddhist cave temple sculptures. Located in the Mumbai suburb of Jogeshwari India, the caves date back to 520 to 550 century and are surrounded by encroachments. The caves are used as a temple by encroachers. The caves are also been marked as endangered as waste and sewage enter the premises. The caves can be accessed through long stairs into the main hall. It has several pillars and a Lingam at the end. Idols of Hanuman , Dattatreya and Ganesh line the walls. The caves houses the murti and the footprints of goddess Jogeshwari, also considered as Kuladevi to Gujrati Brahmins. Udayagiri Caves are archaeological caves near Vidisha, excavated when the city was a provincial capital of the Gupta Empire to serve as Buddhist sanctuaries. It’s complex of 14 temples and includes a passage of natural rock canyon, which a river used to run through. 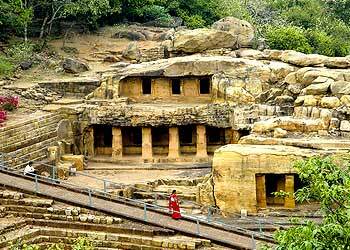 The Udayagiri Caves renowned for their convoluted T-shaped doors and gigantic boar-headed sculptures. Bagh Caves were nine rock-cut caves, made in perpendicular cliff towering 45 – 50 m above the Baghani River nestled on the southern slopes of Vindya Range. One of the most surprising monuments of ancient Buddhist art is found in this remote Bagh Caves. In 1818 some significant monuments of art were discovered which were known to be made by ancient men. Unfortunately out of the original 9 caves only 5 have been preserved till date. Caves look mesmerizing during the rainy season when the river below has water and the sour rounding forest is lush green. But heavy rainfall has lead to destruction of the caves and hinders the entrance to the caves. The Badami cave temples are complex of temples located at Badami, a town in the northern part of Karnataka. The Badami temples are composed of 4 caves excavated out of the soft Badami sandstone on a hill cliff in the late 6th to 7th centuries. The caves were all carved manually and they honor the Hindu gods Vishnu and Shiva, and Jain principles. The fusion architecture is most admired for its adoption of elements from Dravadian style of Southern India and Nagara style of Northern India. The cave temple also showcases sculptures, carvings and beautiful murals. The Aurangabad caves are 12 artificial rock-cut Buddhist shrinesc located on a hill almost 2 km from Bibi Ka Maqbara in Aurangabad, Maharashtra. These caves are excavated out of soft basalt rock during the 6th and 7th century. Caves are divided into 3 separate groups depending on their location. Sculptural carvings of Aurangabad Caves can be compared to the best paintings of Ajanta and is a embodiment of the best Indian classical art.